Journalist Joshua Blakeney contrasted the Edmonton shooting of December 30, 2014 with the dubious Ottawa “shooting” of October 22nd 2014 in this Press TV appearance. The interview was conducted on December 30, 2014. Jason Erb has been writing for his blog, Exposing Faux Capitalism, since the start of the global financial collapse of 2008 and has been hosting his own weekly radio show since 2012. Jason covers economic, financial and political issues from a unique and uncompromisingly fact-based perspective. In the first hour, we’ll talk about the Ottawa shooting when Michael Zehaf-Bibeau, an Islam convert fatally shot Corporal Nathan Cirillo, a Canadian soldier and then launched an attack in the nearby Centre Block parliament building. Jason talks about Canadian-Islamic relations and what may arise from this event. Will it lead to increased support for Israel? Then, we’ll talk about diminished free speech in Canada, including Arthur Topham’s case. In the second hour, we’ll discuss mass immigration into Canada and the barrage on European-Canadian heritage. Canada’s intake of immigrants is the highest per capita in the world. Jason speaks about Canada’s rapid change in demographics and comments on what will happen if this continues. He’ll talk about Canada’s founding settlers who were diverse with European culture from the start. Also, Jason tells how a rapid demographic change in Canada is changing what history Canadian students are being taught. He’ll also talk about special provisions for natives that are discriminatory to White Canadians. Later, Jason gives his take on Jewish influence in finance and economics and comments on the statements made by Karen Hudes. Tabled Monday, the “ Protection of Canada from Terrorists Act” boosts the powers of Canada’s domestic spy agency, the Canadian Security Intelligence Service (CSIS), to share information and operate internationally. It also gives new powers for CSIS to keep its sources anonymous. 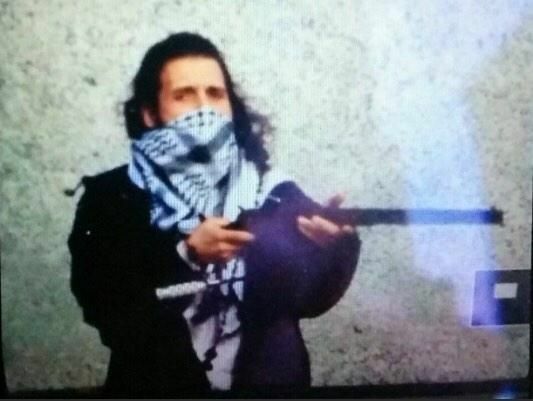 The bill had been meant to be tabled on Wednesday, the same day Michael Zehaf-Bibeau shot and killed a soldier at the National War Memorial before storming the Centre Block building on Parliament Hill, where he died. . .
Bill C-44 may not be the end of it. The federal government continues to eye what new powers it will seek for police. Government ministers have mused openly about lowering how much evidence is needed to place a terror suspect under a peace bond, which allows officials to closely monitor the suspect even if they don’t have enough evidence to lay a charge. Other changes could include making it illegal to write online statements that support a terror group and expanding powers for “preventative arrest,” or arrest without a charge. . .
On the same day as Mr. Couture-Rouleau‘s attack, the House passed Bill C-13. The government refers to as an anti-cyberbullying bill but it goes well beyond that. The bill contains broad new police powers, including several new warrants for surveillance, tracking and gathering of bank information that critics have said will, in some cases, require little evidence to get. The issue was raised again this week when the RCMP Commissioner called for certain evidentiary thresholds to be lowered. The above statements provide a flavour of the changes that are to come in Canada as a result of the implausible official interpretation of the recent events. I noted that the proposed law against “glorifying or condoning terrorism” will enable the state to criminalize anybody who expresses verbal or written support for Palestinian resistance organizations whom under International Law are entitled to resist illegal occupation. The Netanyahu government’s tendentious analysis of Middle East politics is now to provide the framework for Canadian jurisprudence, it seems. Additionally, one can imagine the Zionist thought-police in Canada portraying questioning the official explanations of terrorist incidents as a form of “condoning” or “glorification” of terrorism. Hence it is possible that the Ottawa “shooting” will be remembered as the false-flag that prevented skeptics from discussing false-flags by enabling the enactment of such censorious laws. I also noted that while Canada’s government is throwing around phrases like “radicalization” and “extremism” that they are the ones who are on the extremity of the United Nations, where they invariably go against the international consensus during votes relating to the terrorism of Israel. Fortunately, Canadian professors Anthony Hall, Peter Dale Scott and John McMurtry have all published methodical and well-researched pieces drawing attention to the problems with the official explanation of the Ottawa “shooting”. They are all worth reading. Joshua Blakeney is a freelance journalist based in Calgary, Alberta, Canada who was born 4.5 miles from where the Magna Carta was signed in Surrey, UK. He has been Press TV’s Canadian correspondent since April 2010. His writings have been published in an array of internationally reputed media venues including Global Research.ca, Rabble.ca, Pravda, Voltairenet.org, Coldtype.net, The Canadian Dimension, The Canadian Charger, Veterans Today, The Sovereign Independent and The Information Clearing House. He is a co-host of The Real Deal radio show and co-founder of Non-Aligned Media. In this video Dan Dicks of Press For Truth breaks down some of the Draconian pieces of legislation that have been presented in the house of commons which seek to restrict the rights of the Canadian people in the wake of the Ottawa shooting. Dan also addresses recent allegations that he is a paid government shill who is acting as a gatekeeper of the truth movement. Was the Ottawa shooting staged? In Ottawa, on Wednesday, October 22nd, we were told that there was a shooting attack on the National War Memorial resulting in the death of Corporal Nathan Cirillo, followed by multiple shots at Centre Block in the government complex at Parliament Hill – but is that really the entire story? A number of evidence planks have emerged which we will cover – one of which is that there was, in fact, a security services and law enforcement drill (see ‘When Live Drills Go Dark’, below), taking place around the time of this bizarre shooting event in Canada. According to news reports, the shooter’s photograph (above) was obtained from an ‘unknown source’ but is considered authentic according to police. Oddly, the photograph appears to have a strange light reflection that looks as though it was taken through glass or perhaps from a screen. – Alleged connections to terror or terror networks. – Suspect has radicalized views on religion used to polarize the public. – Sensational media projections to bring in additional storylines for dramatic effect. – An unknown motive for the crime said to be committed – followed quickly by a ‘presumed’ motive without evidence. Time and time again, we’ve seen this same choreographed narrative pushed by mass media and authorities – only to be exposed at a later date. Prime Minister Steven Harper and the Canadian federal government are using the shooting rampage on Parliament Hill as a justification for imposing surveillance and detainment measures that they were already implementing and going forward with. 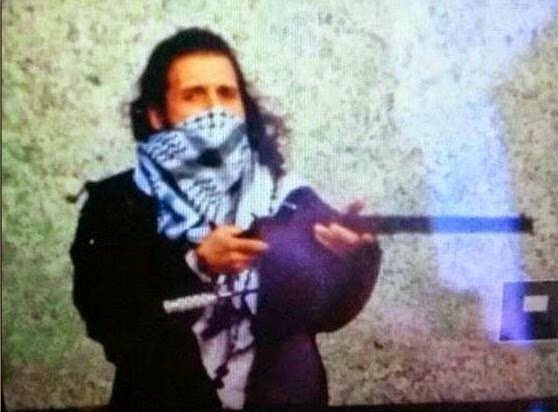 On October 22, 2014 a solitary gunman named Michael Zehaf-Bibeau (originally Michael Joseph Hall) from the city of Laval, Quebec went on a shooting spree in downtown Ottawa, the capital of Canada. Firstly, it was reported that there were shootings in the Rideau Centre which from the northern side of the Mackenzie King Bridge faces National Defence Headquarters (NDHQ), the nerve of Canada’s Department of National Defence (DND). This proved to be false or wrong. The gunman had killed a reservist guard in front of the National War Memorial and then made his way northward to Parliament Hill. Secondly, it was reported that there were multiple gunmen. As a result all government employees were not allowed to enter or leave their respective buildings throughout the interprovincial National Capital Region, which includes the city of Gatineau. Although the police did the right thing in taking precautions to make sure that there were no other gunmen and declined to give explanations, the public was led to believe that there were multiple shooters. This justified the lockdown and suspension of mobility that took place for hours. A lot of important questions also remain unanswered. NBC News reported on October 8, 2014 that US intelligence officials told it «that Canadian authorities have heard would-be terrorists discussing potential ISIS-inspired ‘knife and gun’ attacks» inside Canada. Canadian officials, however, dismissed the report. Did US intelligence know something that its Canadian counterparts did not know? Why the contradictions? October 23, 2014 (Tony Cartalucci – LD) – As warned, after multiple staged incidents used to ratchet up fear and paranoia in the build-up to US and its allies’ military intervention in Syria and Iraq, at least two live attacks have now been carried out in Canada – precisely as they were predicted.